The Roman poet Ovid wrote, “no day shall erase you from the memory of time.” I’m not so sure, but this quote is written large on a wall deep at bedrock level in lower Manhattan inside the 9/11 Museum. When I think about that day what I always remember first is that the sky was so blue - that crystalline clear blue which seems almost impossible. Unreal. Not a cloud in the sky. 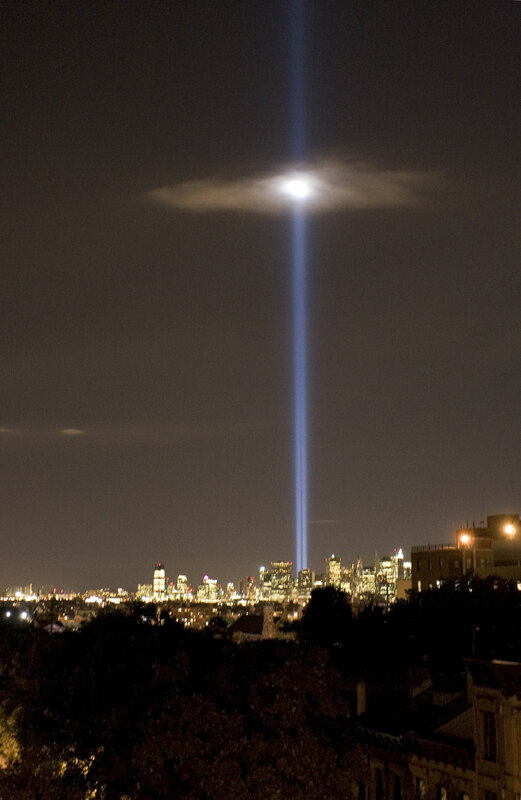 On that day fifteen years ago, I glanced at the skyline of lower Manhattan before descending into a Brooklyn subway station. The twin towers stood there as they always had during my New York life and everything seemed normal. The subway ride into the city was, as usual during rush hour, crowded and delayed. Approaching the World Trade Center the voice of our conductor came over the loudspeakers. Other voices were already speaking to him and at first his message was unintelligible through the garbled crosstalk. We finally understood that because of a fire there, at the World Trade Center, trains were delayed and being rerouted. I exited the subway on 42nd Street and made my way to Grand Central Station. As I entered New York City Police Department SWAT teams armed with automatic weapons and bomb-sniffing dogs began sealing the entrances and exits, directing commuters to return to their trains and to leave the city. Inside the station hundreds if not thousands of people stood around a high-tech newsstand, watching large television monitors that displayed live video of the twin towers burning. Among strangers we shared a common disbelief, staring at unimaginable images, "like a movie," feeling terror. Outside on the streets ambulances and fire trucks were screaming toward downtown. We could hear them in the distance. It was all mediated live. I was not connecting what I know now about global terrorism and all of its associated political implications with what I was watching on television that day - what was happening in real time. I – we - simply felt fear. The terrorists had done their job. I made my way out of the city and was unable to return for three days. When I did, lower Manhattan below Canal Street was blacked-out. A pall of smoke and an indescribable stench hung in the air. New York City airspace was a no-fly zone except for military fighter jets and police helicopters. This familiar place was now something alien and unnatural. I understand that I am not up-close eyewitness to the 9/11 attacks. Friends of mine were covered in ash when the South Tower collapsed. Half the firefighters from my local Brooklyn firehouse died. I am not an eyewitness. Yet, like so many others who were in the city that day, I remember viscerally the sounds, and feel of the tragedy. Even now when I confront an image or item related to 9/11, like this day many years later, I feel a tremendous sense of sadness and loss. Not just about what happened that day but what came later. “No day shall erase you from the memory of time?” I don’t know. But it’s something I hope you’ll think about. It’s something I hope you’ll try to get your colleagues, students or co-workers to think about as this day, and inevitably others like it, unfold in the future.